Toni Halliday and Dean Garcia were introduced by Dave Stewart of Eurythmics. 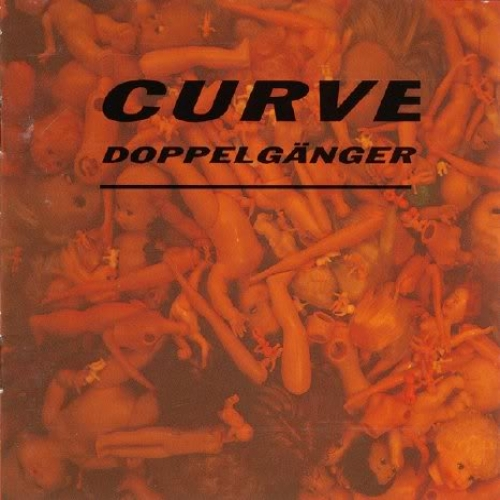 They formed Curve in 1990, and released their first album, Doppelganger, in 1992. This could be best described as heavy shoegaze rock that you can dance to...if that makes any sense. Lots of guitars, including future Echobelly member Debbie Smith, and lots of noise. The saving grace is Halliday's vocals, which offset the dark heaviness of the music enough to make it listenable. It's interesting, and was pretty big in the UK in '92. Not bad, but probably not going to make many "Best Of" lists. Curve continued until 2005. They released 4 more albums before calling it a day, but never exceeded Doppelganger. A somewhat forgotten, average band. This is their best work, if you want it. This is album #140 in an ongoing series.